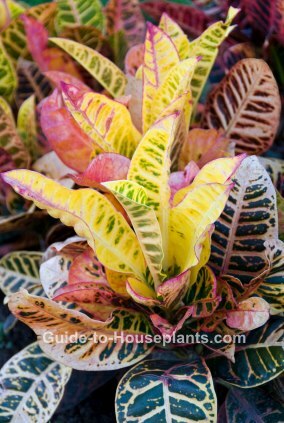 Croton plants stiff, leathery leaves in bold colors of yellow, pink, red, orange and green make it a beautiful and popular house plant. Its varied colors give it another common name, Joseph's Coat. The croton plant (shown at left) is one of the most dramatic we've seen. Warm tropical colors and exotic lobed leaves make 'Petra' a beautiful addition to any brightly lit room. Keep leaves dust-free and shiny by wiping them with a damp cloth. Give them space. If you bought a container that has 2 or 3 plants in it (which is fairly common), keep them together for the first year or so. When the plants seem crowded, give them the space they need by separating them. 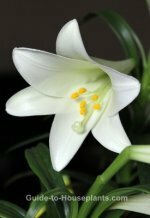 Divide the plants by carefully cutting through their roots with a serrated knife, then pot each plant in its own container. Crotons are not easy to please. The keys to success are plenty of sunshine, a warm, draft-free environment, moist soil, and humid air. Dry air and soil will cause croton leaves to fall off. Too tall? Top them. The plants are naturally bushy, so they shouldn't need pruning. If they get too big, you can cut them back in spring and propagate the stem cuttings. To repot...or not? Repot in spring, moving to a pot only 1 size larger. 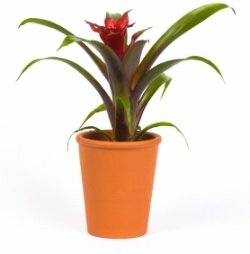 You can control croton plant's size by keeping it in the same container, so that its roots are confined. When the plant reaches the size you want, top-dress annually instead. How to Top Dress: Remove the top 2-3 inches of soil and replace with fresh soil every couple years. Take care not to harm any roots that may be near the surface. Are croton plants poisonous? Oh, yes. A member of the Euphorbia family, this plant has poisonous sap. Don't be afraid of crotons, but take some precautions. 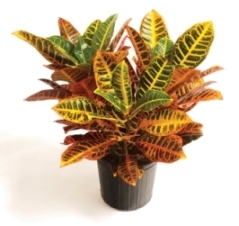 Keep croton away from children and pets and wear gloves while handling it. Many varieties are available, and their colors and shapes vary enormously. 'Golden Bell' is a newer hybrid, featuring long, narrow leaves that are mostly green and yellow. 'Bravo' has lobed leaves with yellow veins. The most common variety is 'Petra' splashed with vibrant colors. Arrowhead croton (shown at left) has unusual leaves that add contrast to a group of plants. Light: Bright light and at least 3 hours of direct sun each day. Leaf color is most vibrant when the plant is getting lots of light. If new leaves are mostly green, move the plant to a brighter location. Water: Keep soil mix evenly moist with tepid water. Humidity: High humidity. Mist daily if possible. Stand the plant on a tray of wet pebbles. Propagation: Take stem cuttings in spring and dip in rooting hormone before inserting in a half-half mix of sand and peat moss. Croton cuttings root in about a month.